Nothing like the arrival of spring fabrics and spring weather (sorry Melbourne, we know you're still waiting on the latter) to get us thinking floral. Georgia (a ponti knit fan from waaaay back) couldn't wait to finally give Vogue 8871 (view A) a go. She chose one of our new Italian printed ponti knits - Aqua Haven. 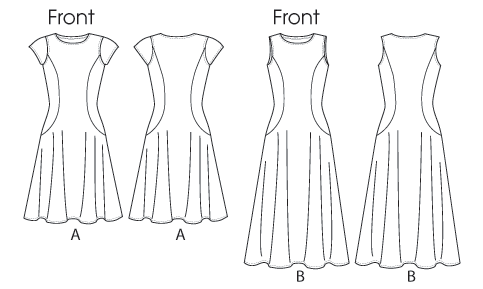 It's a perfect pattern/fabric match as well as being a speedy sewing project. 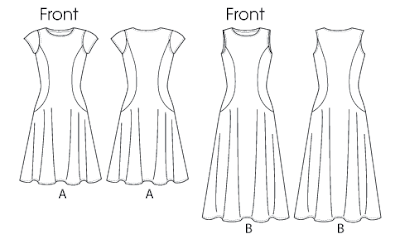 The only changes she made to the pattern were to add her favoured detail of self binding to the neckline, sleeves and dress hem. This fabric - in addition to whole lot of other gorgeous pontis - is now available all stores and online.